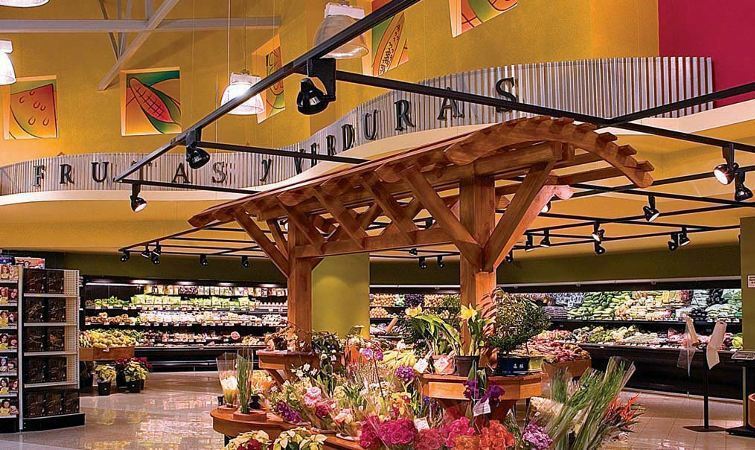 Which is the most expensive supermarket in Costa Rica? Hands down, the winner is the Automercado chain of stores. And the proof is in the pudding. The Ministerio de Economía, Industria y Comercio (MEIC) – Ministry of Economy, Industry and Commerce – in a recent comparative study of 48 supermarket stores across the country, found great differences in prices of products included in the “Canasta Basica” (basic food basket). Moreso, the MEIC found supermarkets to be “speculating”, with prices different at checkout that in the “gondola” (store shelf). Supermarkets found speculating were: San Luis in Pérez Zeledón; Megasuper in Parque de la Paz, Puntarenas and Limón; Maxi Consumo in Barrio Cuba; Maxi Palí in Alajuelita; and Perimercados in Montelimar. Cynthia Zapata, director of the Dirección de Apoyo al Consumidor (Office of Consumer Advocacy), said the stores were wared to correct the situation or face financial penalties that can range from between 10 and 40 minimum wages. All stores are required to comply with the regualtions “Precio por Unidad de Medida” (Price per Unit of Measure), providing the consumer the information tool to compare brands and product size, which can lead to significant savings. The study was conducted between February 3 and 17 of this year, of supermarkets in San José, Alajuela, Heredia, Cartago, Limón, Guanacaste and Puntarenas, of 53 items that includes fresh produce, personal care and hygiene products and prepackaged foods, among others. The MEIC study points out that prices at the Auto Mercado can be more than 200% higher for the same product in other stores, the price difference also noted in different store locations of the chain. On the flipcoin, the lowest prices were found in Palí and Maxi Palís stores (owned and operated by Walmart). The MEIC reports provides examples: at the Auto Mercado in Alajuela, the total cost of the Canasta Basica was ¢121.487 (US$220), while at the Maxi Palí in San Rafael de Heredia, ¢95.041 (US$172). A difference of ¢26.446 (US$48). One item, for example, is the Knorr chicken noodle soup that cost ¢100 colones at the Palí stores in Liberia (Guanacaste) and Puntarenas and ¢325 at the Maxiconsumo in Barrio Cuba, San José.